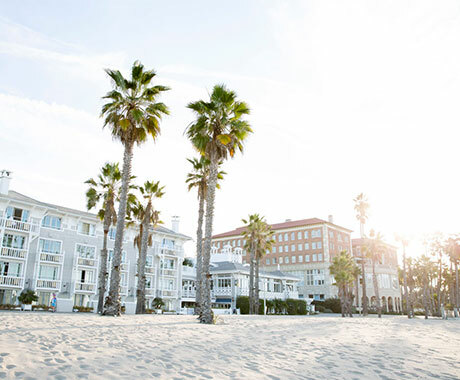 There’s no better place to be during the summer than by the beach, experiencing what Santa Monica has to offer. Head to the Southern California coast and enjoy these summer events, hotel deals and special offers. Please note specials below are from Summer 2018. Check back for offers and events for the 2019 Summer season! Take a splash and watch the sun go down at one of our Sunset Swim pool nights for adults (18+). Grab friends, family and dancing shoes for free concerts in the park. A sampling of genres curated through the jazz lens, free dance lessons, intermission performances (on select dates), and some of the area’s finest food trucks will be presented in Gandara Park. Have you ever dreamed of setting sail across the waters in your very own yacht? Now you can build your own cardboard yacht and test its seaworthiness in a race across the Beach House pool! Esters Wine Shop & Bar is extending their weekend Boozy Brunch to Monday, September 3 from 10am-2:30pm. Cool down on the patio with friends over chilled Build-Your-Own Buckets ($24), which includes four canned craft beers and wines of your choice, or tableside Mimosa Service ($28) which comes with a bottle of Prosecco alongside three, fresh-squeezed juices like orange, watermelon and lemon mint. Fill up on spicy Shrimp & Grits with corn, bell peppers, honey & BBQ beer glaze or Made-To-Order Frittatas with kale, onion, shiitake mushroom and sun-dried tomato, with the option to add speck or prosciutto before heading out to the beach. This community event will feature music, pop-up shops, and interactive classes, Bike Rodeo, and lots of opportunities to get to know your City. Local businesses will provide expertise, advice, health screenings, and free product samples to promote a healthy and happy lifestyle for the entire Santa Monica community. Summer Treat Week ‘Beat the Heat!’ – For one week, Monday, August 6th – Sunday, August 12th clients can select any 3 deluxe samples with a $75+ purchase. Assortment may vary. Offer available while supplies last. Select treats available online. 36th Anniversary Sale: 25%-60% off throughout the store. Valid June 15 through September 15, 2018. Jimmy’s Famous American Tavern will be offering Watermelon Margaritas this summer and enjoy any draft beer and any burger for $16 at their Burger & Beer Mondays. The weekend brunch from 11-3pm includes bottomless mimosas or JFAT blonde beer on draft for $20. Happy hour runs from 3pm-7pm on Sunday through Friday and try their new vegan and vegetarian all natural brown rice bowls! Receive 10% off in store purchase of $75 or more (excluding clearance). Valid July 1-September 30, 2018. Every Saturday we will be featuring a special called Rosé All Day which will be a special on Rosé. In addition, Rosé will be paired with a Rosé Dream Pop. Happening every Saturday until October. 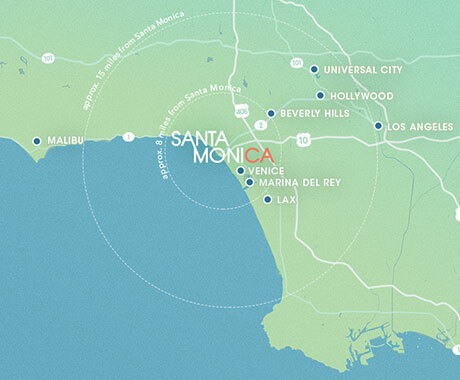 Are you a Santa Monica business with a summer special or event? Submit now.